In a statement, Nick Sandmann, a junior at Covington Catholic High School, identified himself as the student in the video and disputed Phillips' description of events. "I would caution everyone passing judgement based on a few seconds of video to watch the longer video clips that are on the internet, as they show a much different story than is being portrayed by people with agendas," he said. In his statement, Sandmann said he did not hear any of his schoolmates chanting anything other than school spirit chants. "I did not witness or hear any students chant 'build that wall' or anything hateful or racist at any time. Assertions to the contrary are simply false. Our chants were loud because we wanted to drown out the hateful comments that were being shouted at us by the protestors," he said. 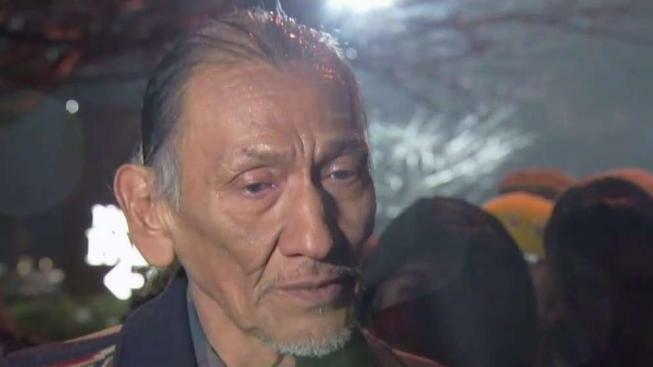 Sandmann said in his statement that he has provided his version of events to the Diocese of Covington and stands "ready and willing to cooperate with any investigation they are conducting."